Go somewhere over the rainbow, and check out these new photos from the Emerald City TV show coming to NBC. The Peacock Network’s journey to Oz features Adria Arjona as a 20 year-old Dorothy Gale. Vincent D’Onofrio is the Wizard. Florence Kasumba plays the Wicked Witch of the East. Oliver Jackson-Cohen is Lucus, the Scarecrow. The Emerald City TV series is a production of Universal Television. David Schulner, Shaun Cassidy, and Matt Arnold serve as executive producers. Swept up into the eye of a tornado, 20-year-old Dorothy Gale (Adria Arjona) is transported to another world — a mystical land in great peril, where an all-powerful Wizard has forbidden magic and rules over the many kingdoms. This is the fabled Land of Oz in a way you’ve never seen before – where lethal warriors roam, wicked witches plot in the shadows, and a young girl from Kansas becomes the headstrong hero who holds the fate of their world in her hands. What do you think? How do you like the look of the Emerald City TV show? Do you plan to check out the first season of Emerald City on NBC? 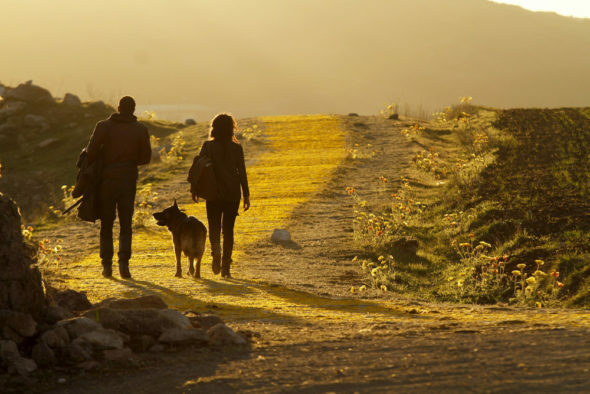 More about: Emerald City, Emerald City: canceled or renewed? It’ll be hiss, it’ll be hiss, it’ll be history.